Vince Williams is the Director of Membership and Business Development for The Executives Club of Chicago. A 107 year old organization that is one of the country’s premier executive leadership development and networking organizations. He was recently named to Diversity MBA magazine’s 2018 Elite List of Top 100 Emerging and Executive Leaders under the age of 50. A Chicago native, Vince is also an entrepreneur and serves on several boards around the City. He has participated with the Illinois Diversity Council for the past three years and serves as co-chair on their membership committee and advisory council. 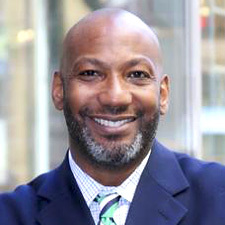 He is currently the Co-Chair for The Leadership Council with Year Up Chicago – a program that addresses the opportunity divide in Chicago and speaks regularly with organizations around Chicago in addition to facilitating strategic connections.